Customer Picture Number 468 Selected. Cool Car decals applied. Living the Dream! 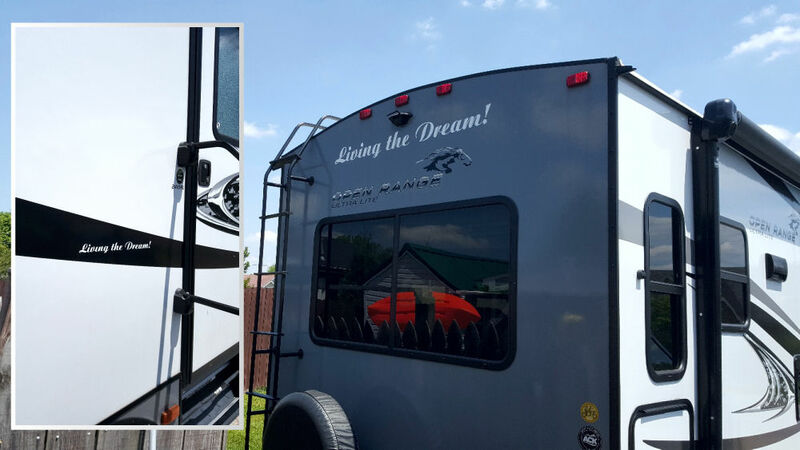 Custom RV decal on the rear of Shannon's RV!